Comfort molded seat has built-in lumbar support and a tilt locking mechanism for tilting the knee in the middle of the turn, it features a dual control paddle chair is easy to adjust seat and an integrated bar in the back, to keep your jacket within reach. 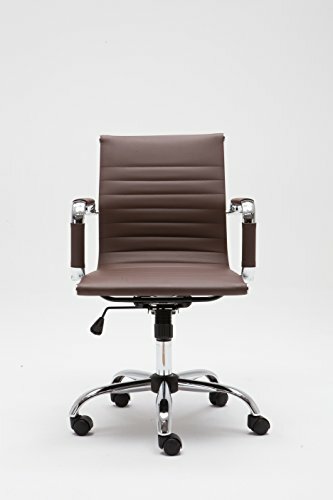 If you are looking for modern office chair that provides a sleek look, with artificial leather winport furniture delivers. 1-year replacement part warranty and 100% customer satisfaction guaranteed by Winport Furniture. If you have any questions about this product by Winport Furniture, contact us by completing and submitting the form below. If you are looking for a specif part number, please include it with your message.